He’ll pay a $5m settlement and won’t now face Floyd Landis in court. The Postal Service and former team-mate Floyd Landis had sought around $100 million in damages from Armstrong in the case, which was due to get under way on 7 May. However the prospect of a potentially ruinous judgement going against the cancer survivor was averted after Armstrong’s lawyers and the US Justice Department brokered a settlement. “I am glad to resolve this case and move forward with my life,” Armstrong, 46, said in a statement. Although Armstrong maintained the US Postal case was “without merit and unfair” he said he was pleased to have settled. “I have since 2013 tried to take full responsibility for my mistakes, and make amends wherever possible,” he said, reflecting with pride on his performances in a US Postal jersey. “I really didn’t want to relive it in a courtroom, and I don’t think Lance did either, and I don’t know that that would have really accomplished anything,” Landis said. However the settlement was greeted with dismay by Betsy Andreu, the wife of former Armstrong team-mate Frankie Andreu. The Andreus were among the first to go on the record about Armstrong’s doping. Armstrong’s personal fortune had been estimated at around $125 million in 2012. The fallen US cycling star had battled back from cancer to win cycling’s most prestigious race, the Tour de France, a record seven consecutive times between 1999 and 2005. Email “Lance Armstrong settles $100m lawsuit with US government and former teammate”. 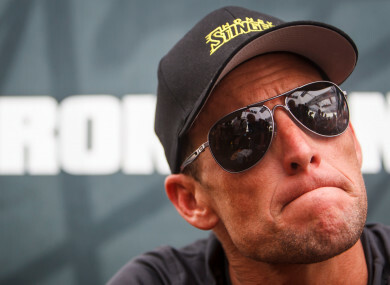 Feedback on “Lance Armstrong settles $100m lawsuit with US government and former teammate”.